Northern Rivers based Dustin Clare is an award-winning Australian actor. Dustin began his career with guest roles in Australian television series before becoming a series regular in the popular television drama McLeod’s Daughters, for which he won a Logie Award for Most Popular New Talent. Dustin went on to star in the Showtime series Satisfaction for which he received a second Logie Award nomination for Most Outstanding Actor, he then went on to play Chris Flannery in the critically acclaimed second series of Underbelly. Dustin made his feature debut in 2011 opposite Geoffrey Rush and Judy Davis in Fred Schepisi‘s The Eye of the Storm. He went on to star in the US series Spartacus: War of the Damned for the STARZ network alongside John Hannah and Lucy Lawless, and also starred in Spartacus: Gods of the Arena, and in Spartacus: Vengeance. In 2013 he appeared in the musical feature, Goddess, opposite Ronan Keating and Magda Szubanski. In 2014 he played Lt. Harry Moffitt on the ABC’s mini-series ANZAC Girls for which he received and Equity Ensemble Award, and in the Australian feature film Love Is Now. In 2015 he appeared on the final season of the Cinemax series Strikeback and in the feature film Sunday, on which he was also a writer and producer. In 2016 Dustin starred in the Wolf Creek TV Series for STAN. In 2018 Dustin appeared in Pacific Rim: Uprising for Legendary Pictures. Dustin will next be seen in Tidelands for Netflix, the comedy series Rosehaven for ABC and the Sundance Channel and Glitch for ABC and Netflix. Dustin also heads up Northern Rivers based independent production, distribution and sales company Fighting Chance Films and was named one of Screen Producers Australia’s emerging producers of 2015. Dustin is a graduate of the Western Australian Academy of Performing Arts (WAAPA). J’aimee has worked extensively across all areas of Film/TV Production both in the UK and Australia – from pre-production to post – as well as exhibition and audience development. As Director of the Byron Bay International Film Festival (BBFF) J’aimee Skippon-Volke has a growing reputation for cutting-edge curation and developing of rich and diverse programmes of entertaining, inspiring and thought-provoking films of all lengths and genres, VR experiences and events which enhance our worldview and collective social dialogue. BBFF’s unique culture and flourishing international reputation see both emerging and esteemed international filmmakers/Creators vying for a place in its programme. 2018 was the second year she curated a selection of Australian-made VR for Cannes Film Festival’s NEXT program – seeking to provide audiences with meaningful screen culture experiences. The rise of the new Realities medium(s) provides J’aimee with the opportunity to bring all that she’s learned across her career together. In 2017 she established Collective Reality, a Production Company developing multi-platform projects for global audiences utilising Virtual Reality to enhance the human experience. She is passionate about ensuring that first-time VR audiences are exposed to truly interesting content made with best practice and purpose whilst they explore the new worlds and possibilities VR creates. Chris is a public relations and fundraising professional. After consultancy positions in corporate public relations with clients including CSR, Lend Lease and Credit Lyonnais, Chris developed a career as a professional fund raiser, holding consultancy and in-house positions for not-for-profit organisations including the National Heart Foundation, Foundation for Aged Care and The Royal Flying Doctor Service for which he was Marketing and PR Manager and at the University of Technology, Sydney as Director of Alumni and Development. Chris is a Fellow of The Fundraising Institute of Australia, holds a Masters degree in Communication Management and a BA in Communication. Prior to his career in public relations, Chris was a freelance film and video editor and researcher, working in documentaries for Film Australia and drama for the Grundy Organisation as well as editing television news and current affairs, commercials and music videos. In his teens and early 20s, Chris was an actor with leading and co-leading roles in television, film and theatre. Peter studied Chemical Engineering at the University of NSW (University Medal) and has a PhD in Systems Engineering from Lancaster University in the UK. His working career was with CSR, and in the later years was Managing Director of New Zealand Sugar, General Manager of the Australian Sugar Refining business and Managing Director of Monier PGH. Peter retired from CSR in 1994, had a consulting business for a number of years and has been a director of companies including Adelaide Brighton Cement. He moved to the Byron area in 2001 and served the community through director positions in the Northern Rivers Community Foundation and Envite, as Chair of the Rising Stars Scholarships program at Southern Cross University, and has mentored local businesses. He lives in Bangalow with his wife of 48 years and has 2 children Jessica and Andre, both of whom also call Bangalow home. Roger Monk is a multi-award-winning film & TV screenwriter, showrunner and development producer. Roger won the AFI, IF and Australian Critics Circle Best Script awards in 2002 for Walking On Water and the Teddy at Berlin Film Festival. Roger has been nominated for numerous AWGIE awards and writes regularly for TV. Some credits include Secret Life Of Us, Nowhere Boy series 1& 2, Dance Academy, Doctor Blake Murder Mysteries and East of Everything. Roger spent two years as development producer at Essential Media (Brisbane) where he mentored emerging writers and developed scripted projects. More recently he script-edited The Strange Chores (Ludo Studios, Brisbane) ran the writers room for Mr Midnight (Beach House Pictures, Singapore) and is an ep writer on Itch (Komixx, WA & UK). He is also in collaborative development on a number of TV and film projects and is repped by RGM. Lois Randall has extensive experience in screen and arts production and industry development. 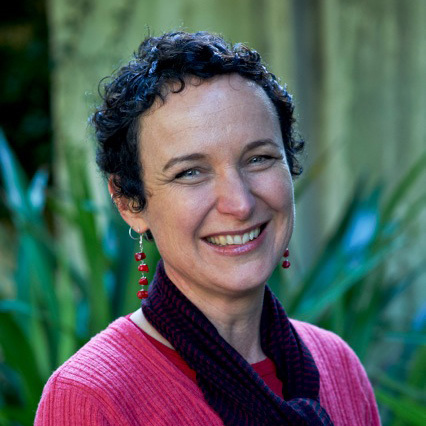 Lois was Producer and Executive Producer of the thirteen-episode live action children’s series GRACE BESIDE ME, coming to NITV and ABC in 2018, and Producer of the six-episode mini-series THE GODS OF WHEAT STREET (Every Cloud Productions for ABC), awarded Miniseries of the Year at the 2014 Screen Producers Australia Awards. She was also an Executive Producer on the Every Cloud Productions web series DEADLOCK in 2017, and previous credits include line producer of EAST OF EVERYTHING drama series (ABC); production manager on John Weiley’s international Imax documentary SOLARMAX, and producer of short films including LAST DRINKS AT FRIDA’S (Sydney Film Festival, ABC, ImagineNative), NAN AND A WHOLE LOT OF TROUBLE (ABC, Flickerfest), AIR (animation, SBS, Dendy Awards) and THE NEW BOOTS (Sydney Film Festival). Professional experience includes Executive Officer at Australian Screen Directors Association (now ADG), CEO at Arts Northern Rivers, and Manager of Metro Screen. Lois is a member of the NSW Film and Television Industry Advisory Committee and a board member of Screenworks. Di’s interest and career in film and TV began in her early 20’s while working as a production assistant at Scottish Screen Locations and being exposed to films such as Braveheart, Shallow Grave and Trainspotting. Upon her return to Australia Di worked for several years at Flicks Australia first as a PA and eventually as a producer where she gained experience in all areas of production. Over the next few years Di worked as a Production Manager on the documentary Waves of Change in Indonesia (aired ABC, director Bill Leimbach), Producer for SBS Croc Eisteddfod Festival in Northern Australia, as a Producer for the pilot program for Channel 9, What Do you do? and as the Art Department Coordinator for the US feature film Airtight. Di was then invited to join Cherub Pictures by Executive Producer Michele Bennett (Chopper, 2000) as an in-house Producer. During her 10 years at Cherub Pictures Di worked with some of Australia’s top directors including Luke Shanahan (Rabbit), Justin Kurzel (Snowtown, Macbeth, Assassin’s Creed) and Samantha Lang (The Monkey’s Mask, Carlotta, The Killing Field). Her production skills were honed through producing dozens of award winning TVCs’ for some of the world’s largest brands, music videos and short films as well as script consulting on numerous features. Highlights were script editing and producing the highly acclaimed dark comedy short It Takes Two to Tango, which screened at Palm Springs, LA shorts festival, MIFF and The News which was a finalist at Tropfest 2010. Both shorts went on to be selected for numerous festivals screening worldwide. During this time Di was attached as script editor and producer on the feature Talk Fast (in development). Di has worked as an associate producer and script consultant on the feature film Rabbit (Director Luke Shanahan) which premiered at the Melbourne International Film Festival in August 2017 and has begun an International tour including FantasticFest, Sitges, GrimmFest UK and Toronto After Dark. Working alongside Writer/Director Hattie Dalton (Third Star), Di recently produced Summer’s Day for ABC ME and Screen Australia. She currently resides in Byron Bay NSW and is aiming to further support the creation and production of projects within the region.